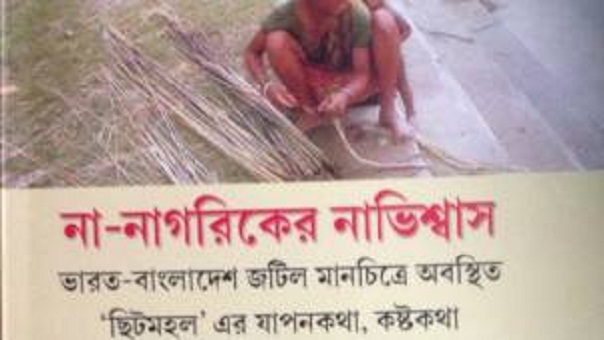 The World Heritage Centre of the UNESCO is mulling over inscribing the Sundarbans in the list of World Heritage in Danger in the wake of construction of the coal-fired Bangladesh-India Friendship Rampal Power Plant near the World Heritage site. 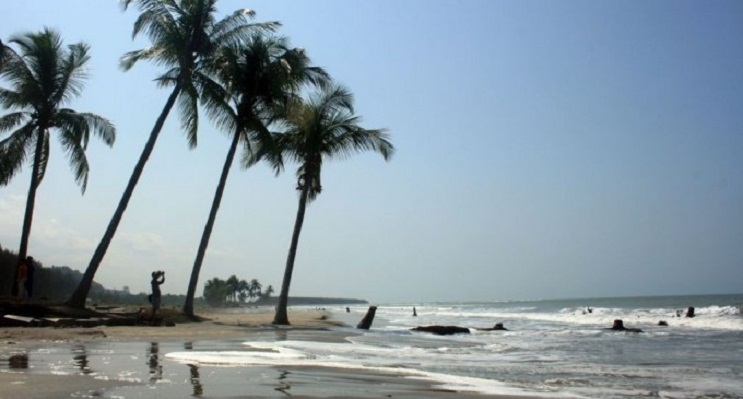 “The State Party of Bangladesh has been requested to provide a progress report to the World Heritage Centre by 1 December 2016, including a 1-page executive summary on the state of conservation of the property,” said a UNESCO news release on Tuesday. The Sundarbans were inscribed on the UNESCO World Heritage List in 1997, and will celebrate its 20th anniversary next year. The UNESCO news release said the World Heritage Centre and International Union for the Conservation of Nature (IUCN) conducted a reactive monitoring mission in March 2016 to assess the conservation of this iconic area. The mission was requested by the World Heritage Committee during its 2015 session in Bonn. This week, the World Heritage Centre and IUCN released a report on the mission. The report concludes that the proposed Rampal power plant, a 1320 megawatt super thermal power plant poses a serious threat to the site, said the news release. The mission team identified four key concerns related to the plant’s construction: pollution from coal ash by air, pollution from wastewater and waste ash, increased shipping and dredging, and the cumulative impact of industrial and related development infrastructure, it added. The mission recommends that the Rampal power plant project be cancelled and relocated to a more suitable location. The report also concluded that the freshwater flow into the Sundarbans has been drastically reduced, resulting in substantial increases in siltation and salinity that are threatening the overall balance of the ecosystem. It further found that the site lacks a clear and comprehensive assessment of the combined effects from increasing coastal development. The report recommends immediate action to secure adequate freshwater flow to the site, and calls for a new integrated management plan taking into account the carrying capacity of this fragile ecosystem that can secure a sustainable balance between socio-economic development and conservation. Paris climate talks, said the consensus of the content.After nearly two weeks of difficult negotiations, the COP 1 conference came at the news.The draft agreement will be presented at the meeting of the ministers is expected. However, on Friday, a day before it was supposed to represent. However, the draft did not know about the details. Reduce greenhouse gas emissions to reach an agreement in Paris two hundred countries took part. At the end of the discussion was the biggest obstacle facing the rich countries to poor countries to adapt to climate change, how it will be distributed to the billions of dollars. After the agreement that had been negotiated at the end of it is likely to be less likely to break. ২0২0 since the Paris conference agreement will be effective. Funds will be collected, the funds will be spent on improving the life of the countries affected by climate change. In Paris, France on November 30, the UN Climate Conference (COP 21) to start. According to the pre-announced schedule, it was supposed to end on December 11. But Friday was not possible to reach an agreement until it has been decided to continue with the conference on Saturday. The industrialized countries are responsible for climate change, the least developed and developing countries to finance the climate fund. Friday, the Green Climate Fund (jisiepha), the United States, Canada, several countries demand from industrialized countries alliance took 134 of the G-77 and China opposed. Bangladesh has the same tone as a member of the alliance. On behalf of the G-77 and China, the 37 industrialized countries historically responsible for global climate change. As a result, they are tackling climate change, and the money must be paid for on a regular basis to assist with the development of additional and new. The meeting of G-77 and China, said a spokesman for the South African najipho miksakato disebo, 009 industrialized nations said the Copenhagen agreement, ২0২0 Year by year they will collect $ 100 billion for the United Nations Climate Fund. Before the money they had promised. If you need the extra money, then it will be least developed and developing countries. On behalf of the least developed countries and LDC alliance, they are not at all in favor of the climate fund. The industrialized countries for climate change activities that they have been damaged, it must pay compensation deal. After a long wait the end of the land boundary between Bangladesh and India was the deal with India to midnight on July 31, exchange of enclaves begins. Monday evening the two countries, the ministry said in the letter. India’s prime minister Narendra Modi to visit Dhaka in anticipation of the ratification of this information was the time of handing over the two days. The Indian abhyamantara of 111 Indian enclaves inside Bangladesh and 51 Bangladeshi ardhalaksa at least open the way of salvation. The 1974 agreement, 011 karyakare protocol for the exchange of letters between the Secretary of State was sent to the Indian High Commission in Dhaka. The letter from the Ministry of Foreign Affairs. The letter was midnight, July 31, exchange of enclaves cut off before the start of the final process of joint inspection officials in those two countries will be on the ground. Due to the need to amend the constitution to exchange land for decades, this issue remained unsettled. The bill passed in the Rajya Sabha of India last May and is badhianasabhaya. 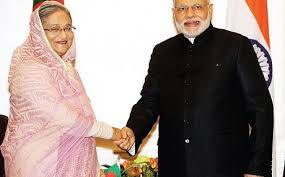 The Indian Prime Minister, Narendra Modi visited Bangladesh on Saturday. Modi’s visit to Bangladesh Prime Minister Sheikh Hasina, Foreign Secretaries of the two countries before the summit document exchange. There are 111 Indian enclaves inside Bangladesh, 37,000 people live in it. 51 Bangladeshi enclaves inside India’s 14,000. This information is available in 011 of the joint venture in the census. A total of 51 Bangladeshi enclaves inside India in the area of ​​7.110 acres; The 111 Indian enclaves inside Bangladesh 17.160 acres in size. Once the agreement of the 51 enclaves (7,110 acres) will be part of India. 111 Indian enclaves (17,160 acres) will be part of. 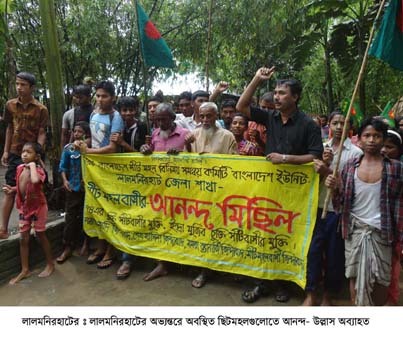 Of these, 59 districts of Rangpur, Rangpur district 36, district 1 in Kurigram, Rangpur district has 4 Indian enclaves. Under the agreement, the enclave will be able to choose according to their nationality. More than 10,000 acres of land in exchange for India would, therefore any compensation would not be mentioned in the Protocols. Under the Protocol of adversely possessed land will be the end of the conflict. The 2777 acres of adversely possessed land to be able to India. The 2267 acres of land, the ownership will be established.